Seafoam is a fuel additive that helps to improve the efficiency of your car. It helps clean your fuel and oil system off deposits. After continued use of the substance, you will notice that your carbon emissions reduced. Fuel and oil will get contaminated with continued use. When this happens, you have sludge deposits in the combustion chambers. Seafoam is added to the gas tank during refueling or the oil filter during the next car service. Seafoam will get clean the engine without inferring with the fuel or oil. But, what are seafoam and its chemical composition? 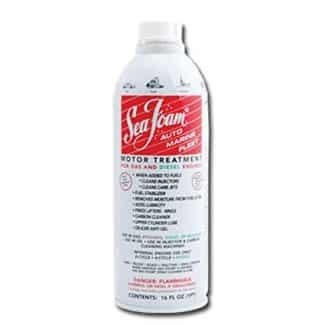 The seafoam brand has been used for cleaning the engine off fuel and oil deposits for the last 70 years. It is hard to clean out all movable engine parts due to their location. Fuel and oil are not 100 percent clean and often interacts with contaminants like dirt and other deposits to form a thick sludge that reduces engine efficiency. Seafoam motor treatment is designed to liquify this sludge deposits so that they can safely be ejected out of the engine. Ethanol additives leave your seals vanished and dried out making them harder to be lubricated. In the fuel system, seafoam will absorb water, enhancing the air/fuel ignition. Engine clogging is a common occurrence with the internal combustion chambers. The crankcase and pistons need to oil to operate properly. Oil needs to be supplied to all movable parts. Continued use of oil clogs up the engine and fuel systems. If this is allowed to continue, you will have your valve malfunctioning. Carbon deposits will hinder engine performance through ineffective detonation. When used in diesel engines it will de-ice the fuel system. If you are looking to purchase seafoam for a good price, check it out on Amazon here. Seafoam–can't believe what it did to my engine!! The general rule is to use one can of seafoam for 16 gallons of fuel. Seafoam does not influence the workings of fuel, and you should feel free to use it. Once it is in the fuel system, it will clear any carbon deposits. When fueling ensure that you leave some room for the sea foam. It is recommended that you use seafoam with octanes of 91 and above. Drive the car normally until you run out of gasoline. Seafoam will interact with fuel, and this will clean the fuel injectors. If you are looking for something to quiet down noisy oil filters, remove oil sludge or clean up engine sludge, then seafoam is the right product for you. You will need one can go for 8 quarts of oil. It is recommended that you do this during your next oil service – can be after 1,000 miles. You may need to use seafoam twice to achieve the desired results. When using seafoam open the oil filter neck and use a funnel to pour the substance. 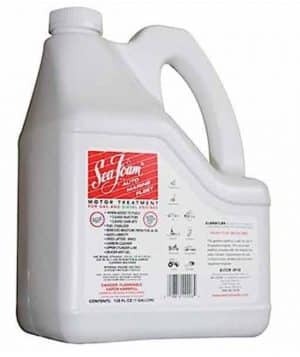 When you are cleaning the intake systems or combustion chambers, you will need to use the seafoam top engine cleaner. The difference with the regular sea foam that is used is that this one is an aerosol spray. You insert the spray into the air intakes. First, let your engine warm while you rev it to around 2,000 rpm. Empty the contents of the spray into the engine. Turn off your engine and let the liquid rest for around 15 minutes. Restart the engine and drive short distances. This gives the liquid enough time to clean the engine. When using seafoam in an automatic transmission ensure that the car is set at the park or neutral for manual transmission cars. It is recommended that you park the car in a well-ventilated area due to the fumes produced. When looking for a line that ensures even distribution of the fluid try using the brake booster vacuum line. Disconnect the hose, and that goes to the manifold and pour the contents of the sea foam. Rev the engine until you see some heavy white smoke coming out of the engine. Drive as usual until the white smoke clears. Car fuel has to be free of contaminants for it to be effective. Contamination can occur at the gas station, or your car’s fuel system can contain carbon deposits that hinder the engine performance. But, how do you recognize contaminated fuel? Fuel should be bright and clear. If you open the engine and notice your engine is cloudy or dark, then the fuel is contaminated. There moments when the coolant mixes with the fuel, and this causes it to be cloudy. You will need to identify the source of contamination as this can hinder engine performance. A solution of seafoam in the gas tank can clear any deposits in the fuel system. You know that you have contaminated fuel in the car when you have problems accelerating. Any loss of rpm means that your engine is not operating optimally. Contaminated fuel does not burn completely, and you can see black smoke coming out of the exhaust. The major cause for unburned fuel is sludge forming in the combustion chambers. Check your fuel filters for contaminants. The fuel tank is well hidden underneath the car, but with time it could form rust and start leaking. Sludge build up in the fuel tank can be caused by a poor filtration system. You should check underneath the fuel car for any signs of holes. This should be fixed immediately because gasoline is highly inflammable. You should also ensure that you have tightly closed the fuel tank lid. There moments when drivers are in a hurry, and they forget to close it hence allowing dirt to get into the fuel system. 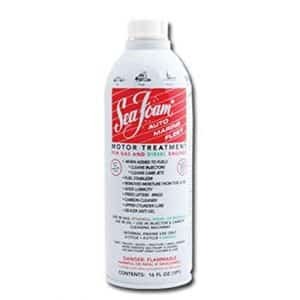 Seafoam is a great product for those who want to clean their fuel systems off sludge and contaminants. The liquid solution can be poured into the fuel tank and there it will mix with the fuel and clean your system. You can also a special seafoam spray in the air intakes.